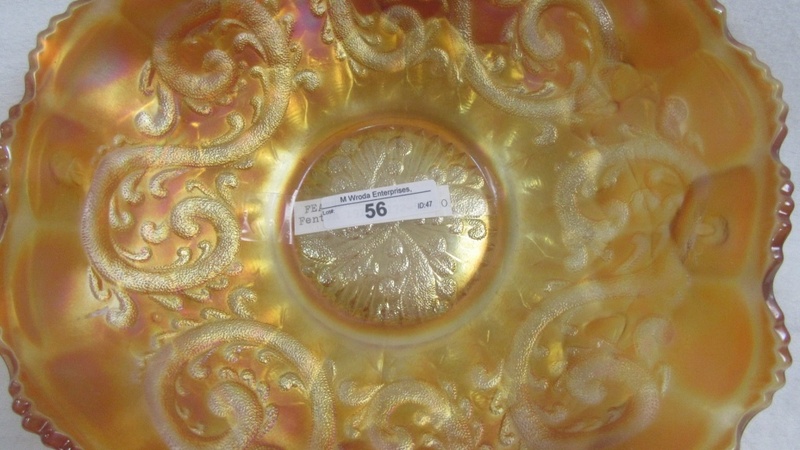 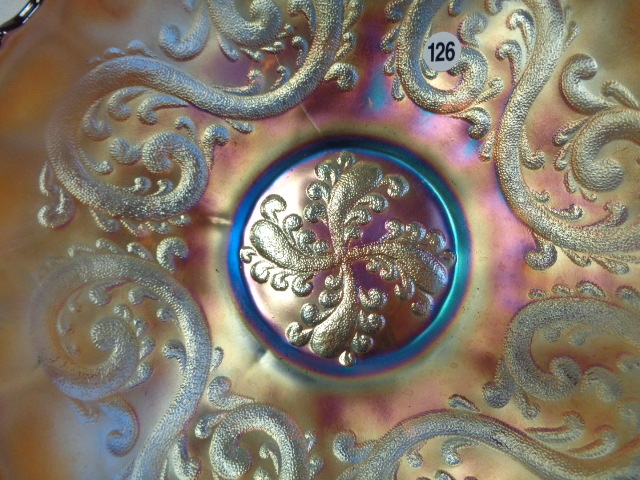 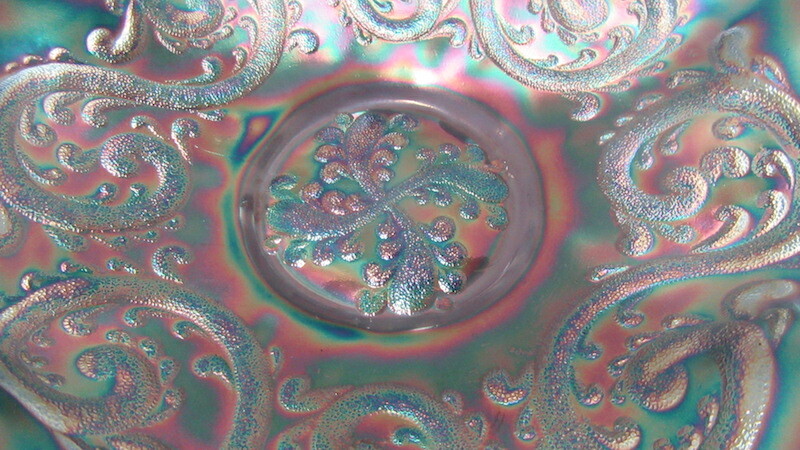 A scarce pattern found only in large and small bowls and in several edge treatments including candy ribbon edge. 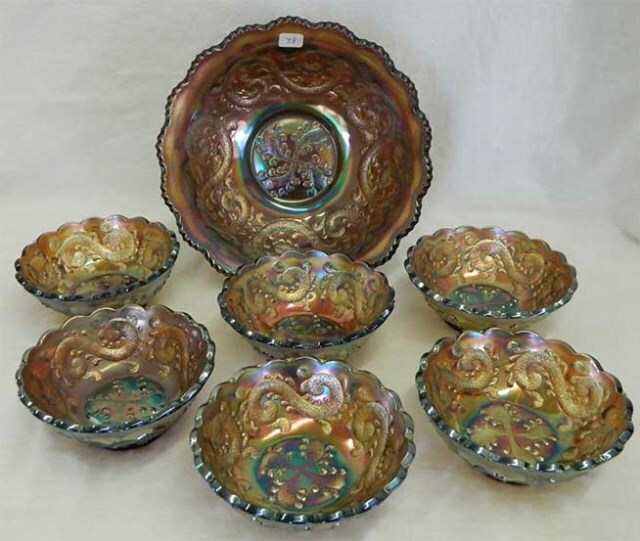 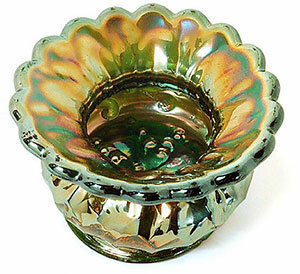 At left is a typical large ruffled bowl in amethyst; above right are small and large berry bowls in green. 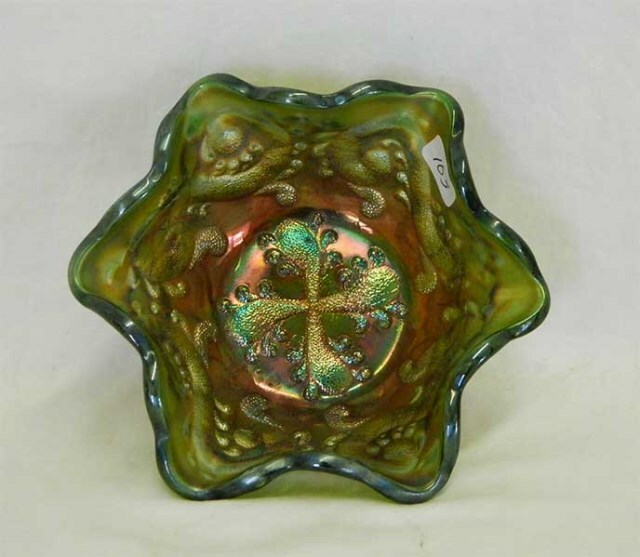 An extraordinary item, the only one known, this Feathered Serpent whimsey ladies spittoon in green sold at a 1999 auction for $7,500, and at a 2011 auction for $3,500. 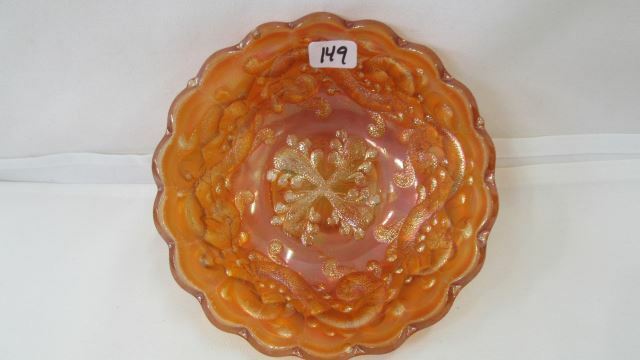 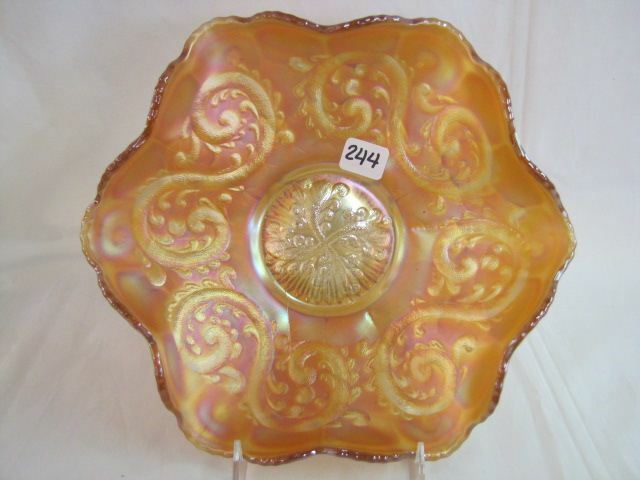 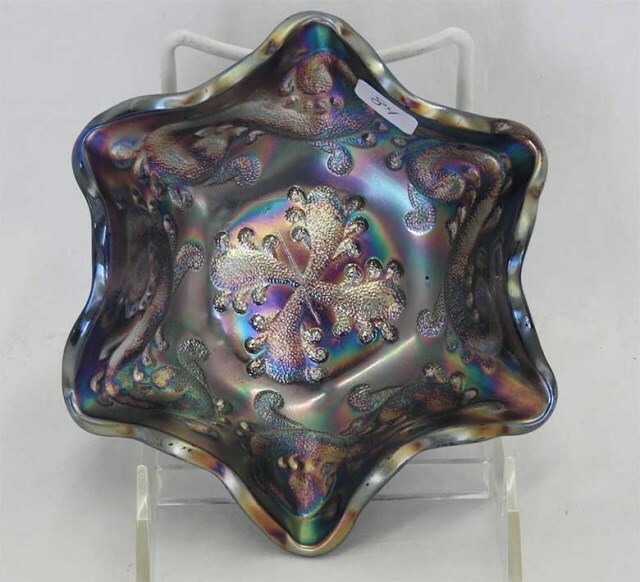 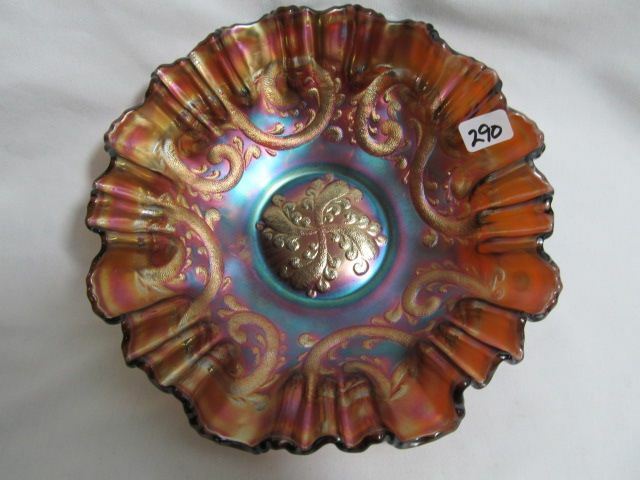 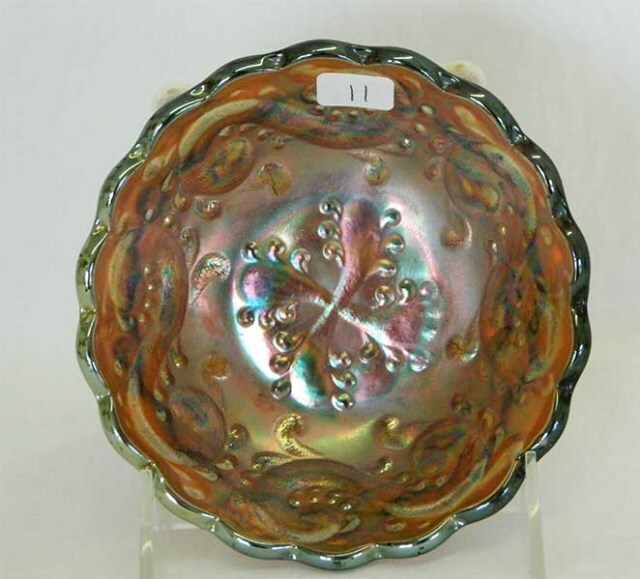 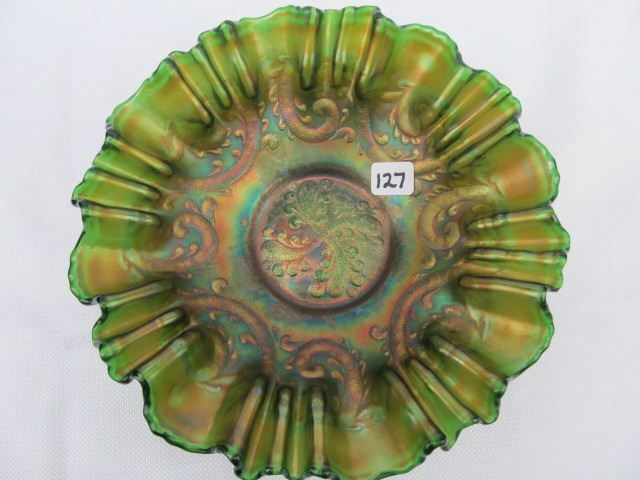 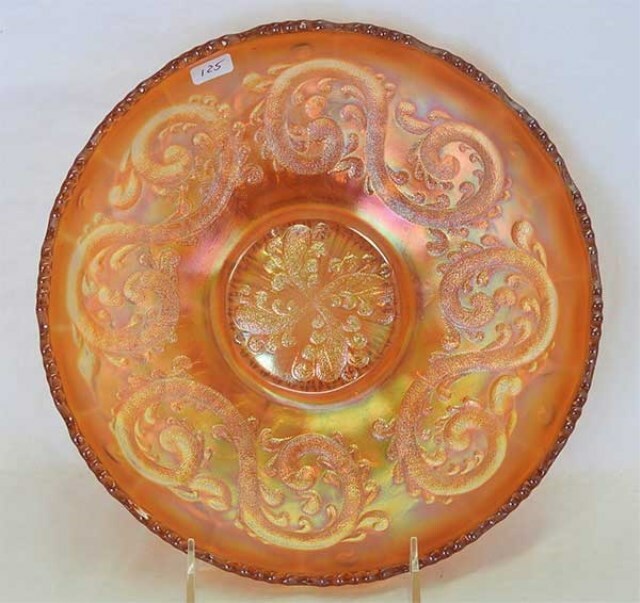 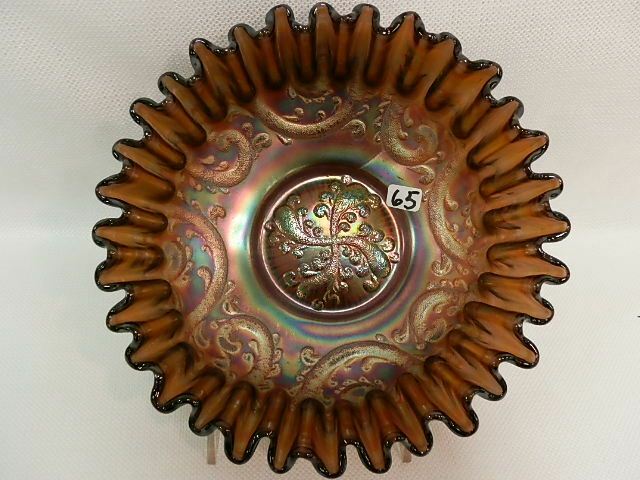 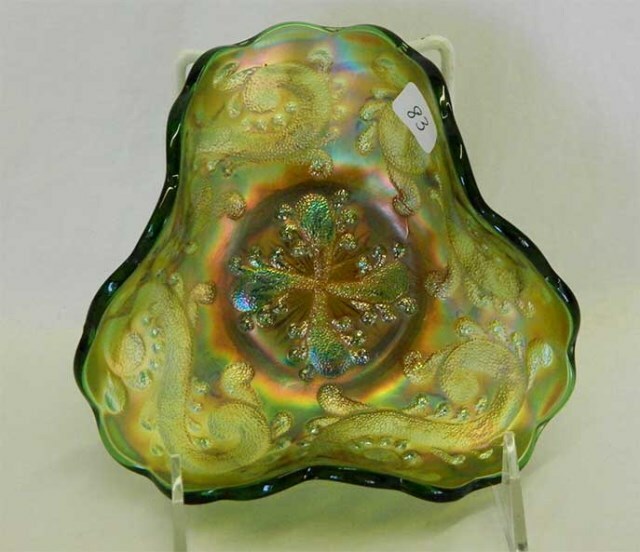 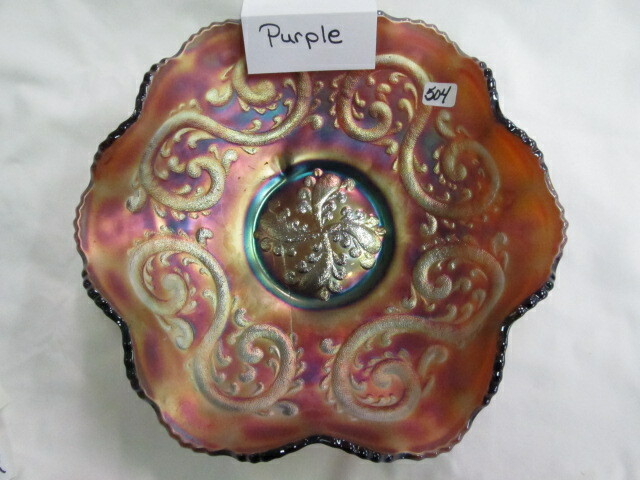 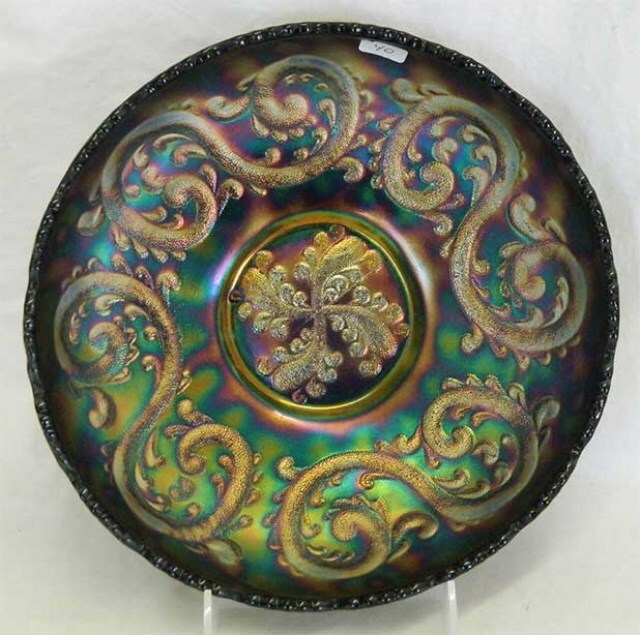 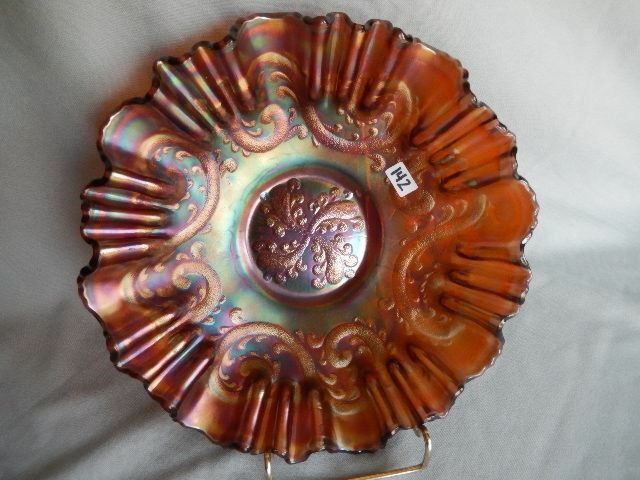 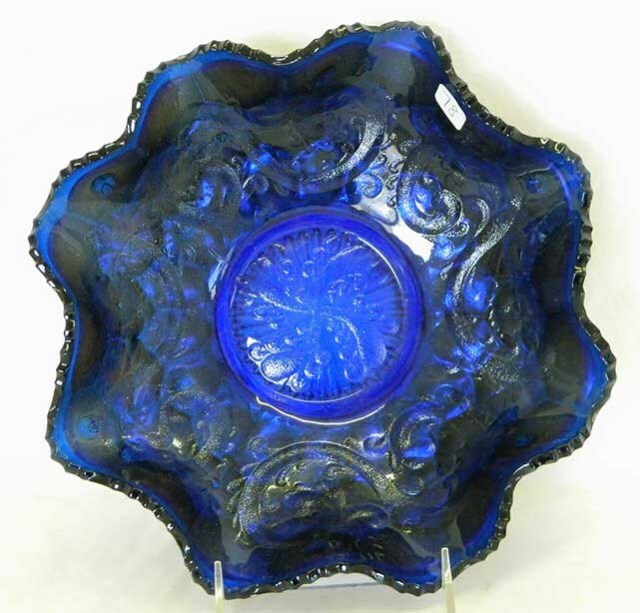 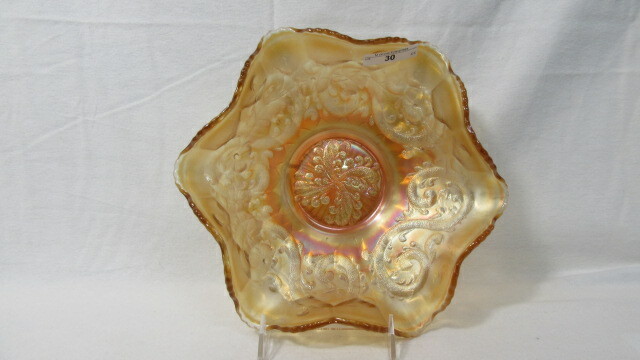 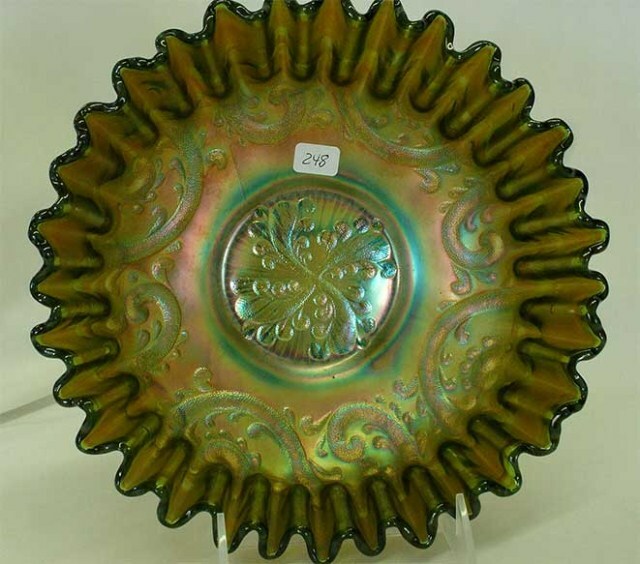 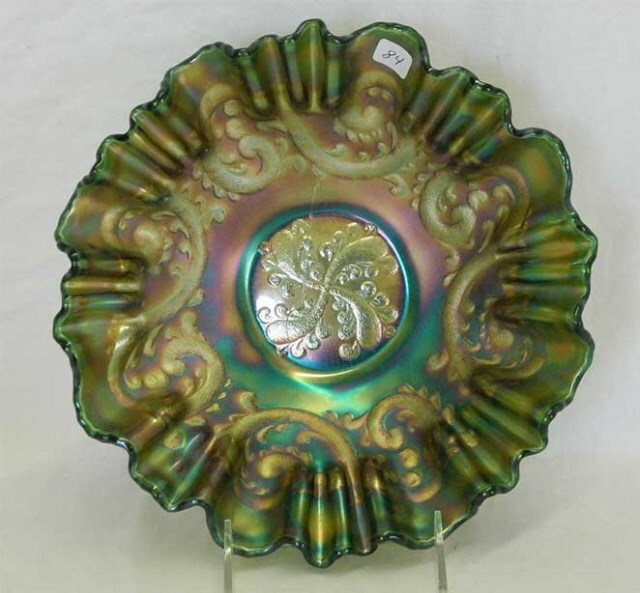 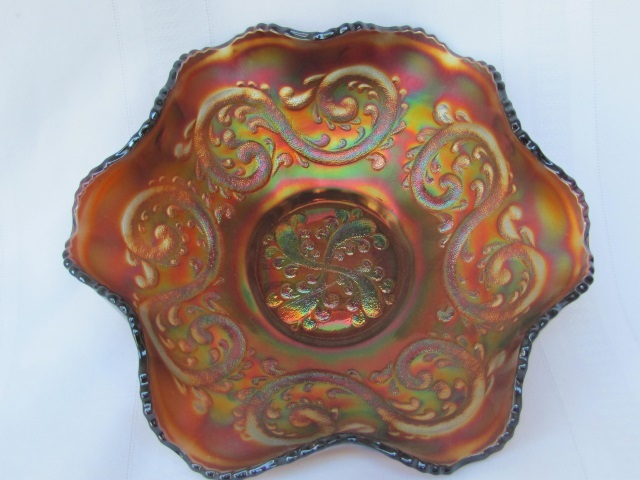 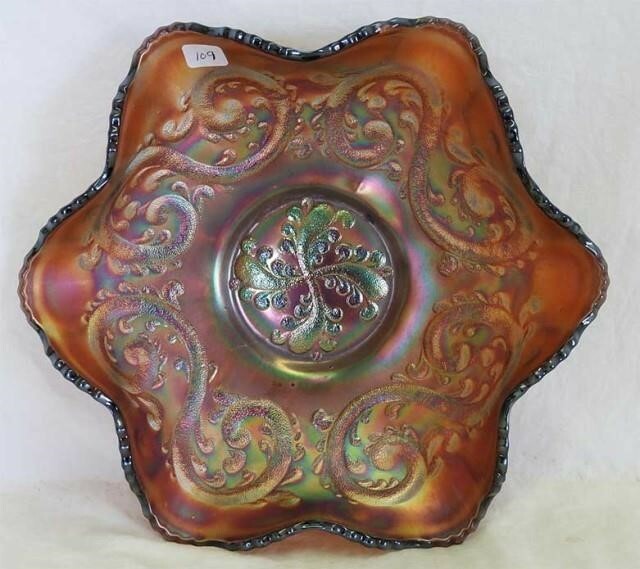 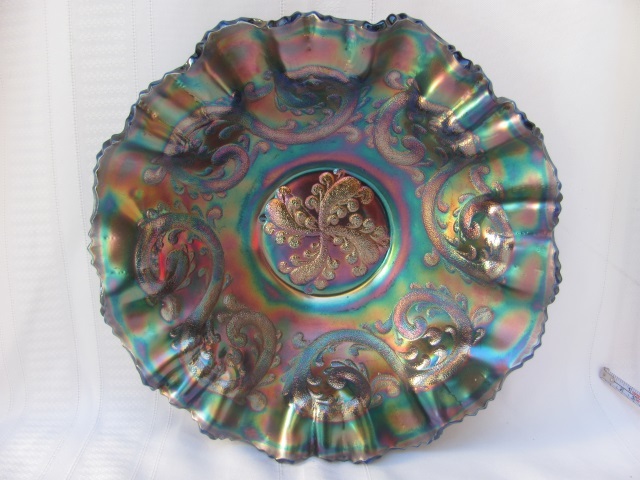 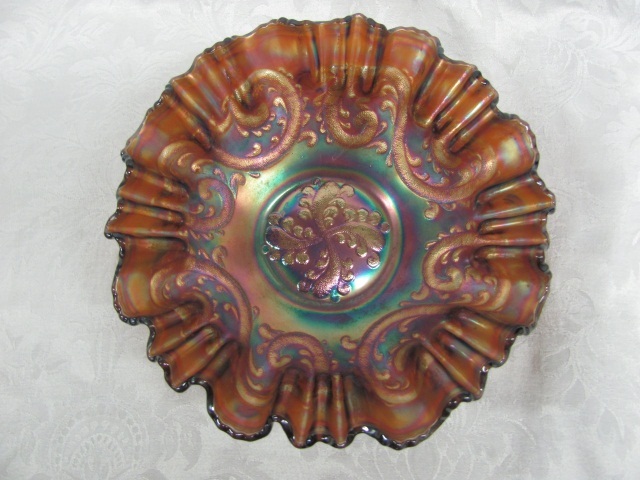 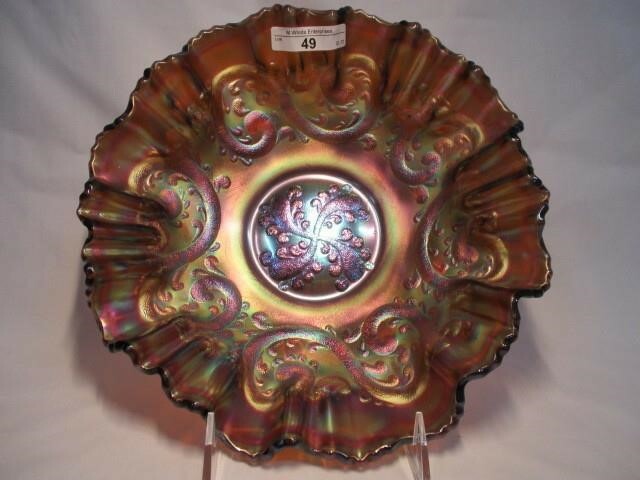 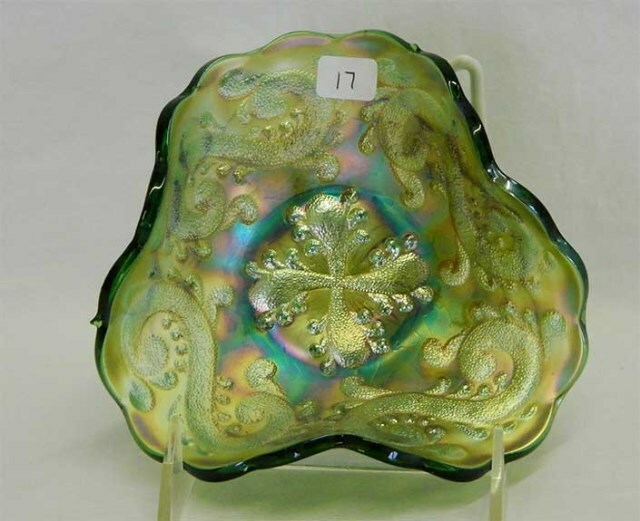 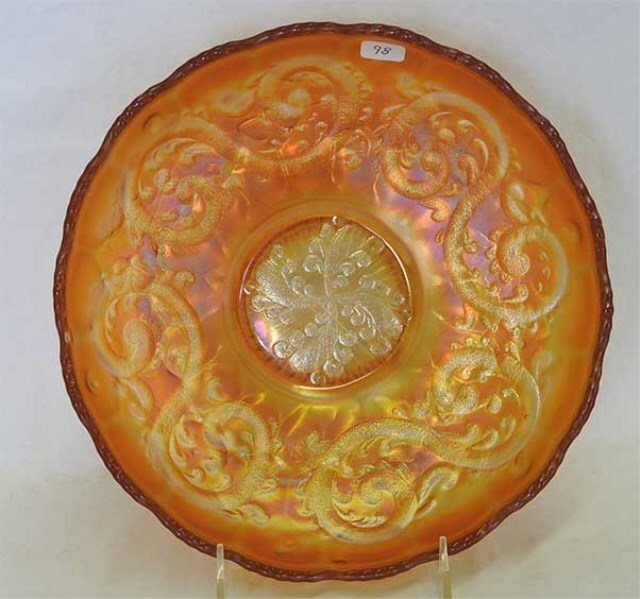 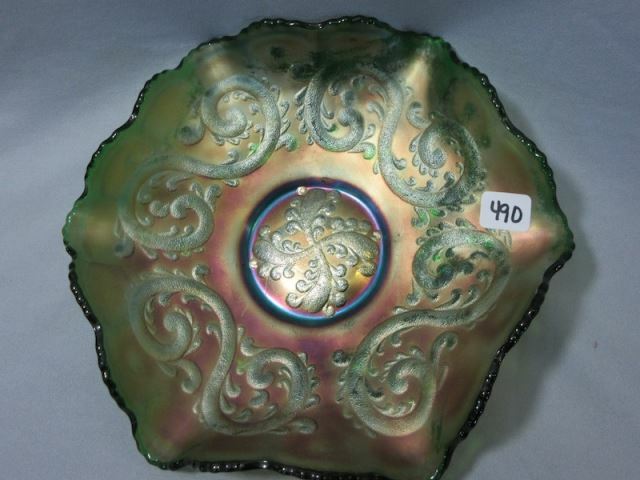 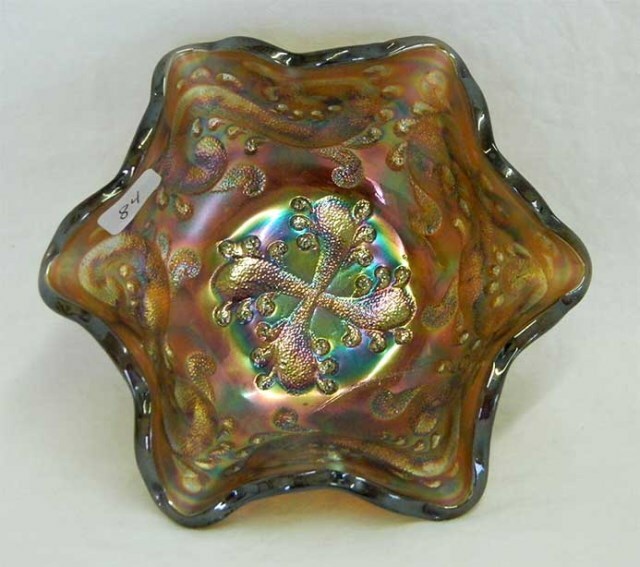 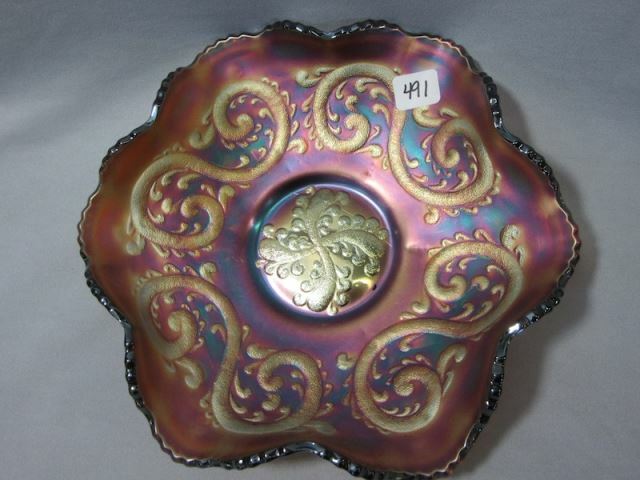 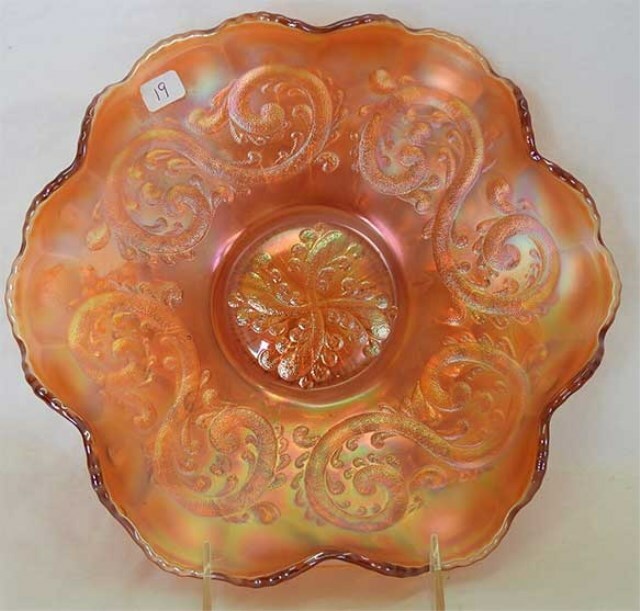 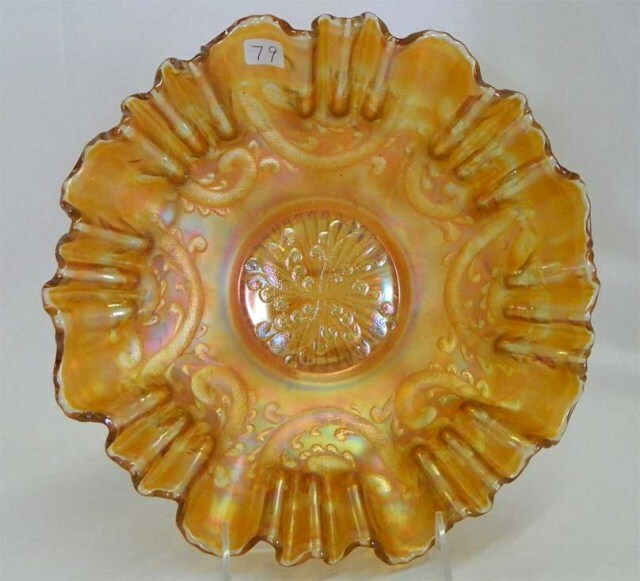 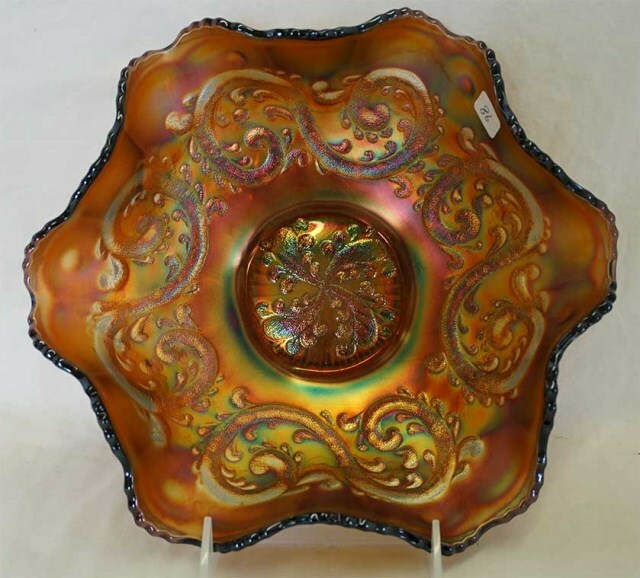 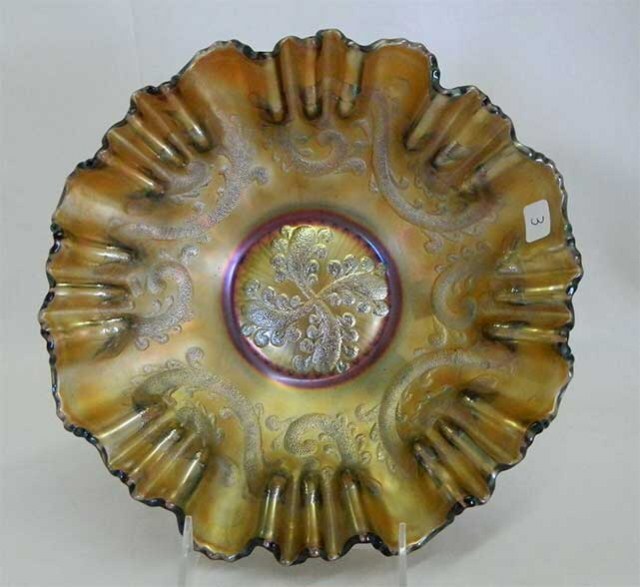 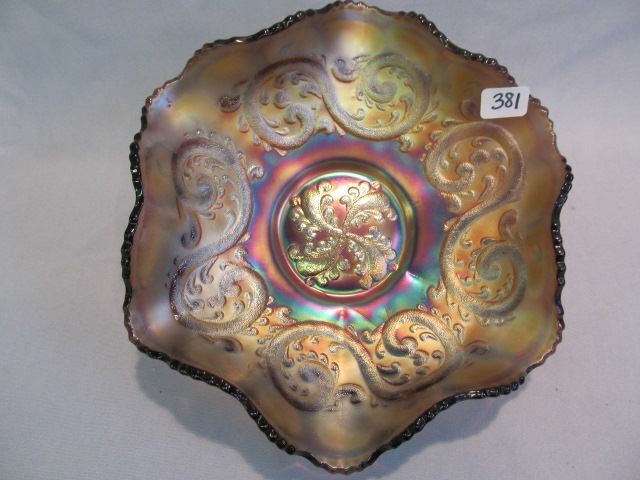 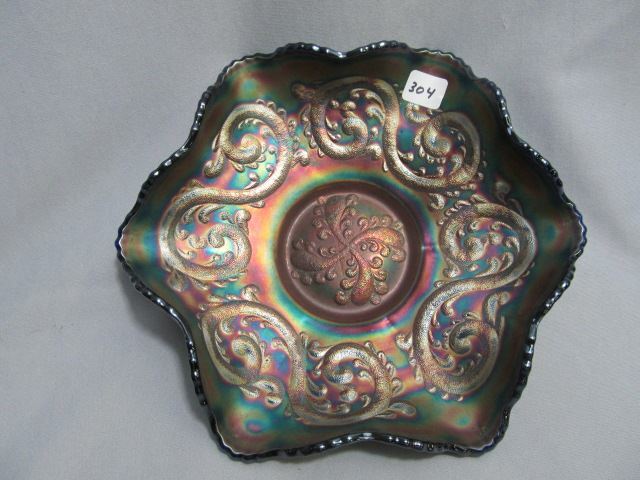 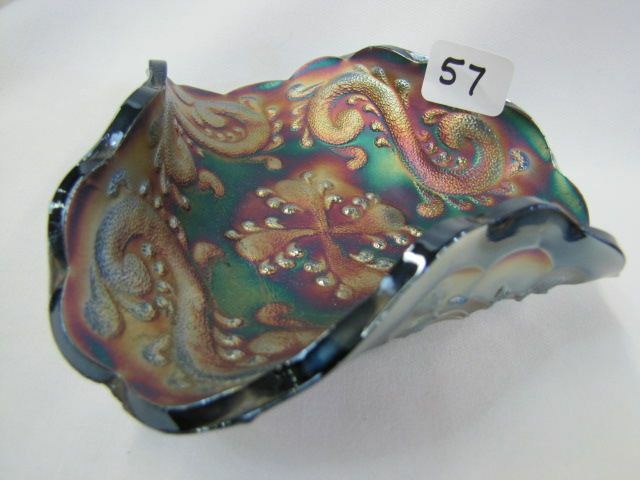 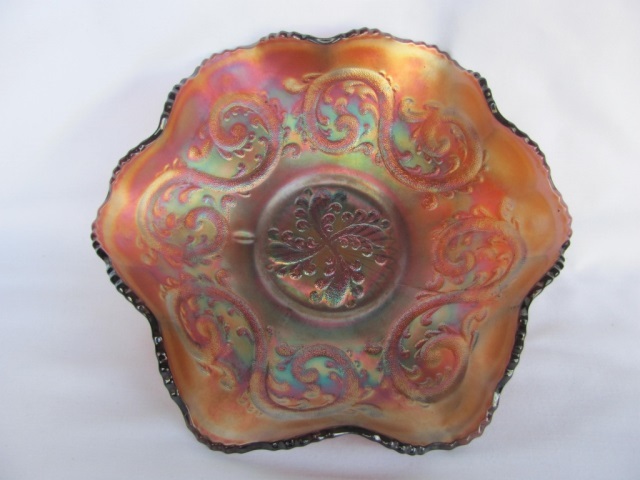 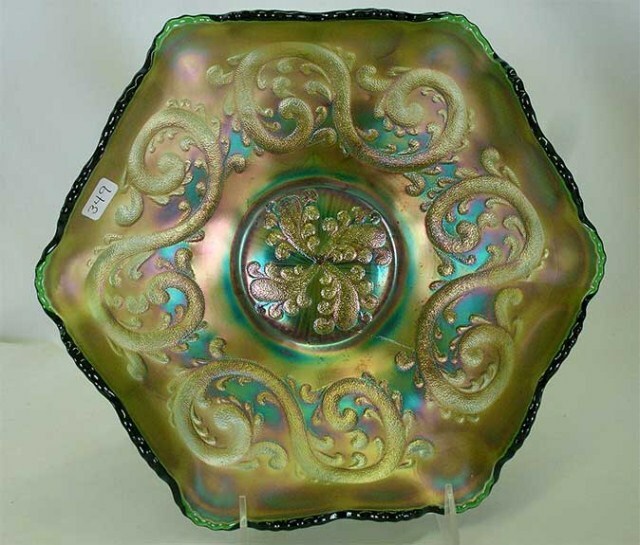 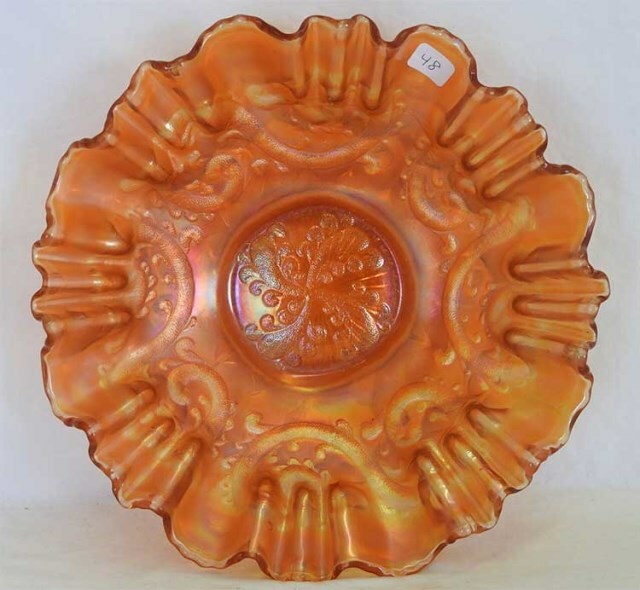 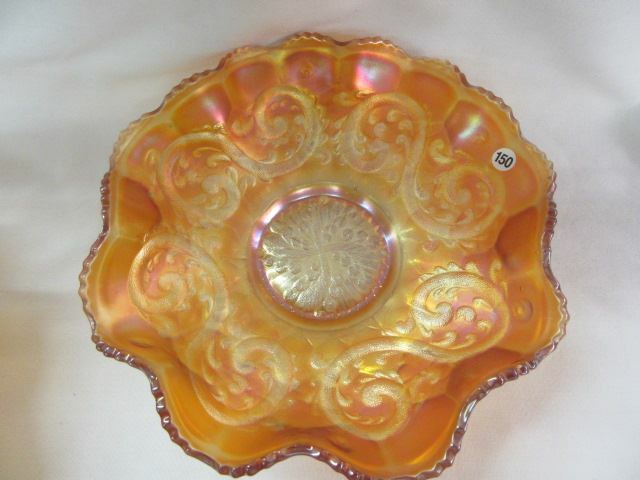 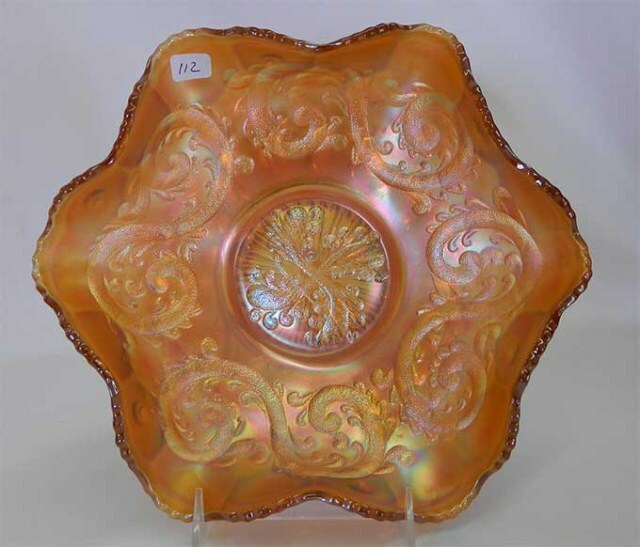 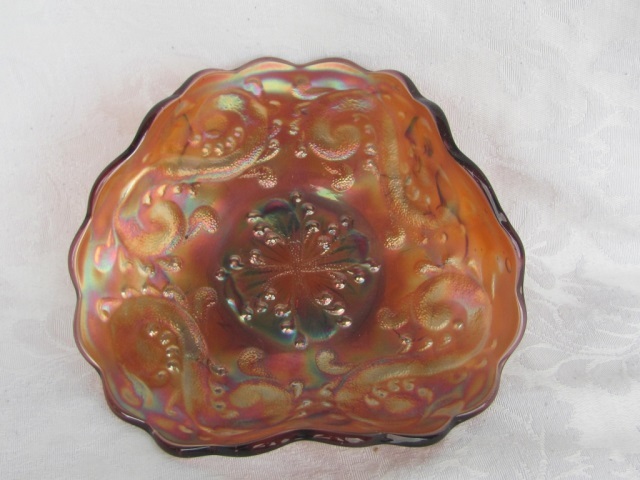 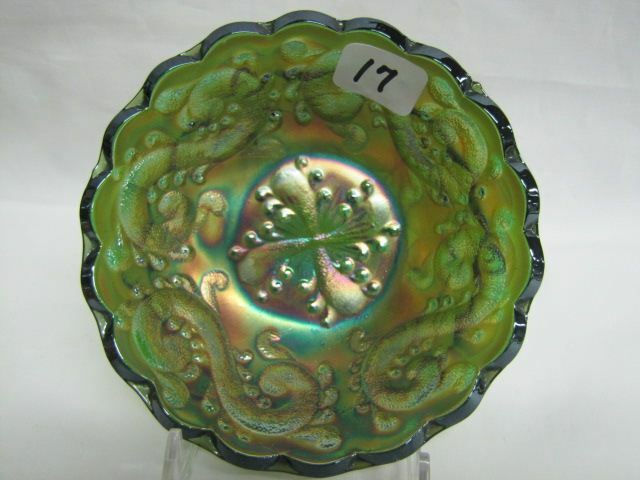 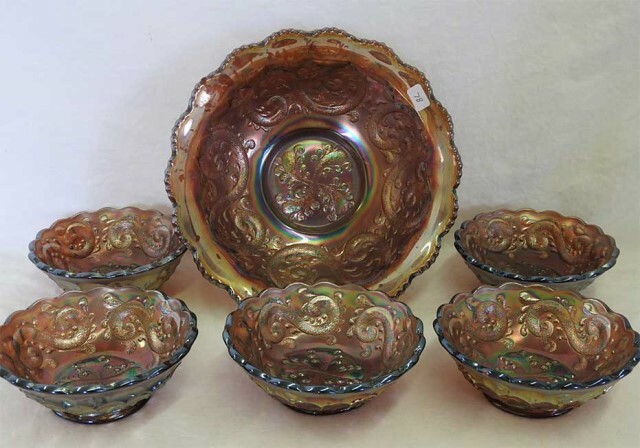 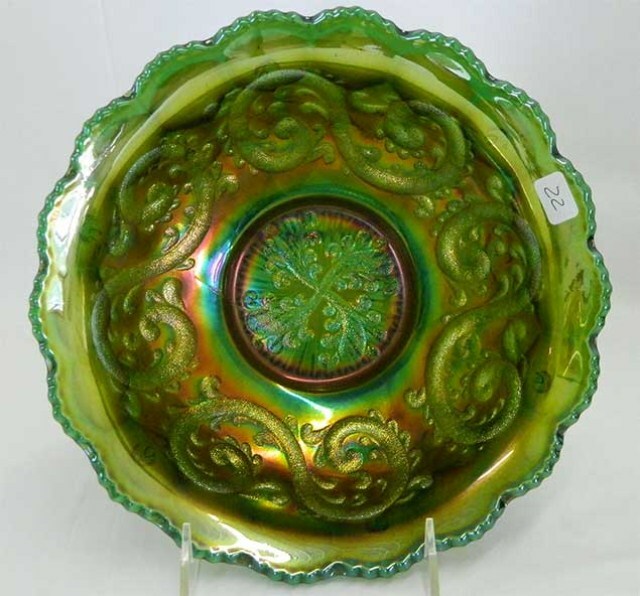 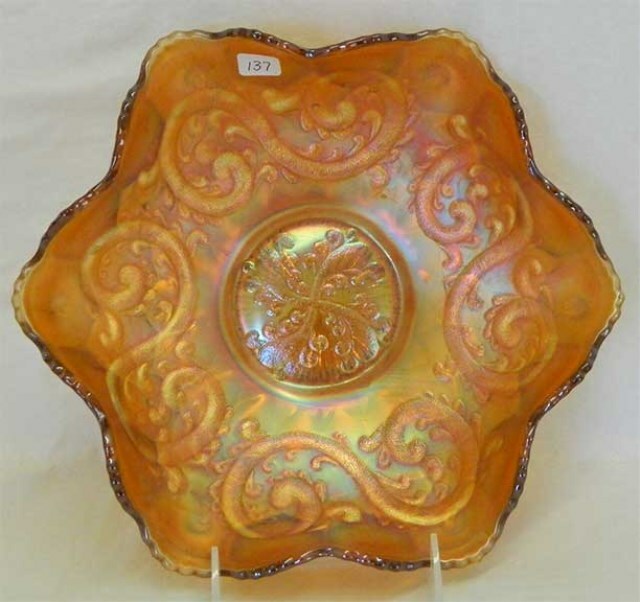 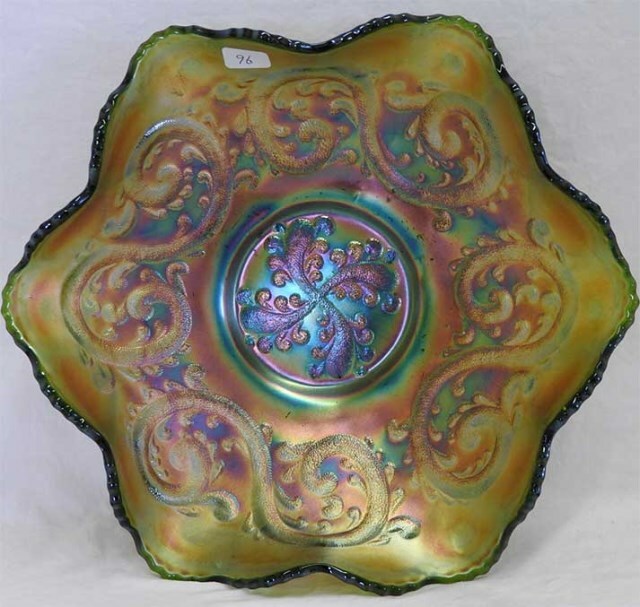 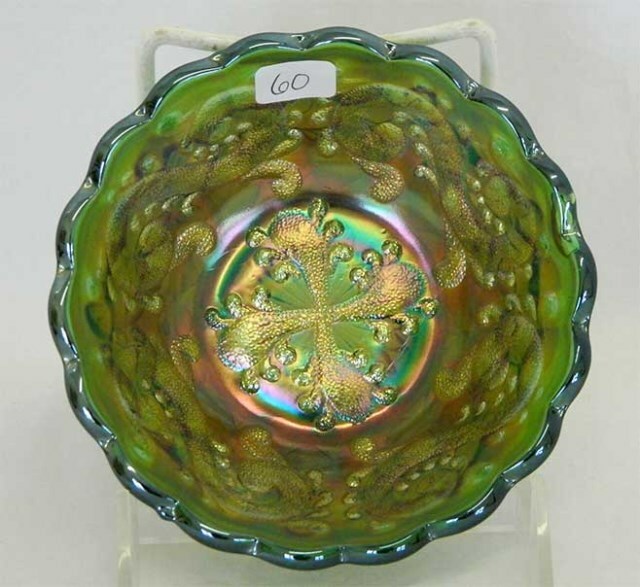 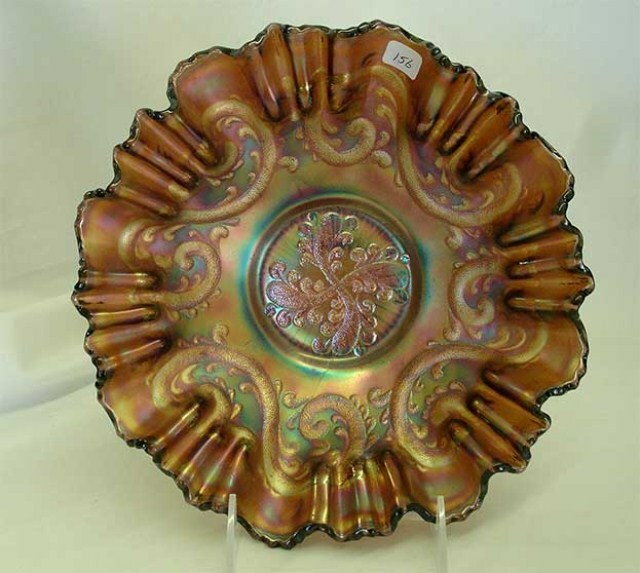 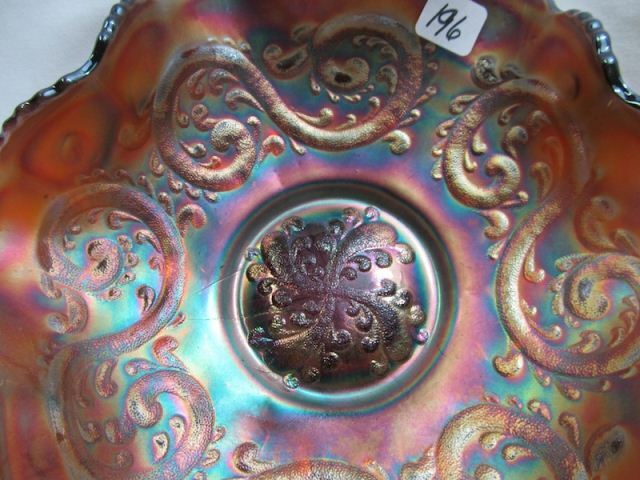 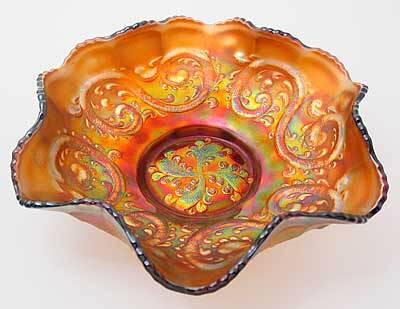 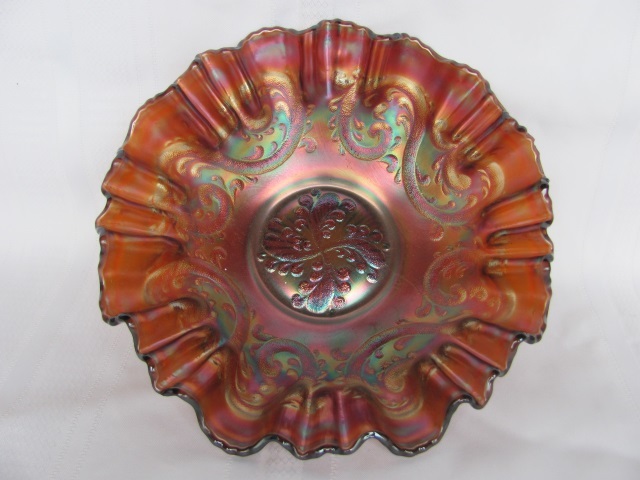 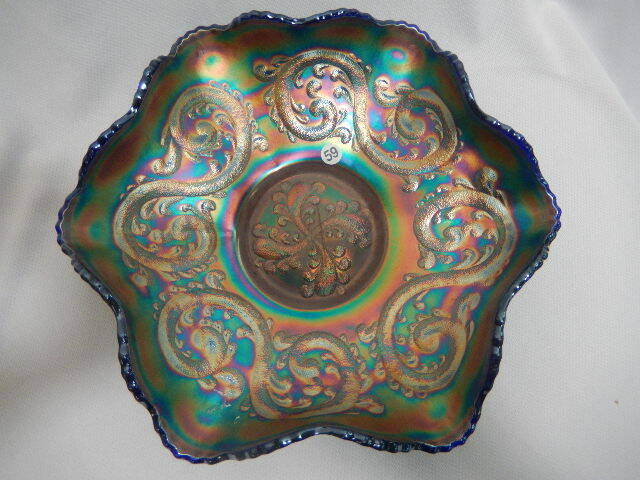 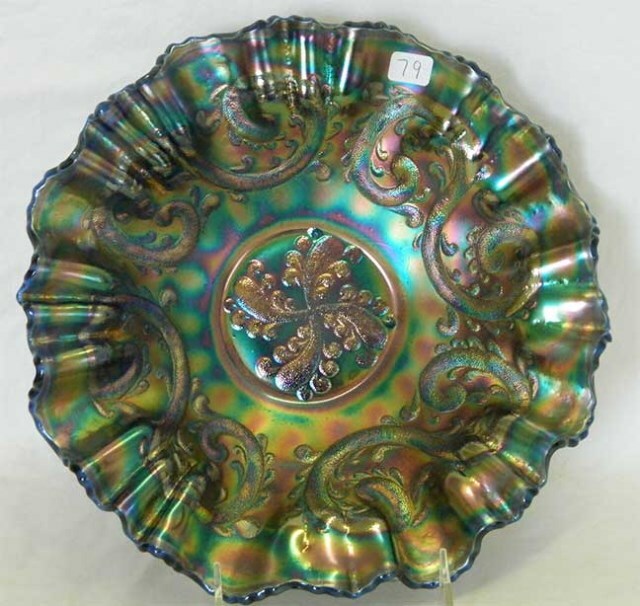 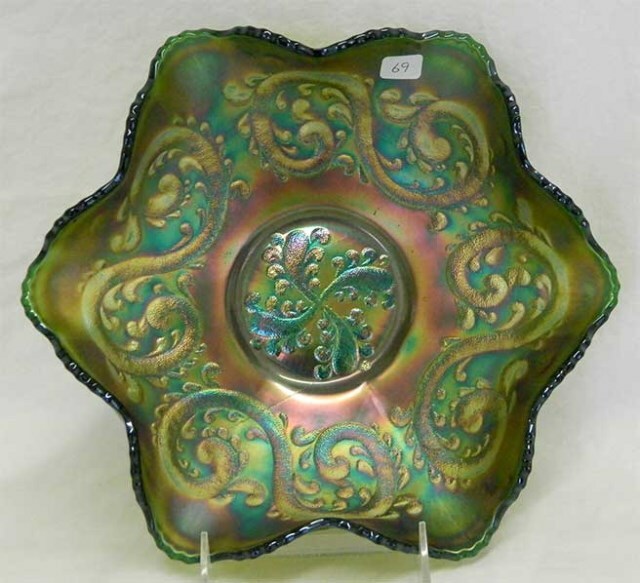 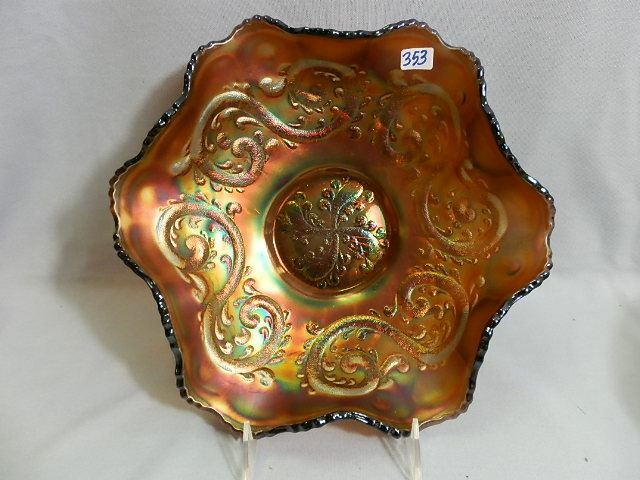 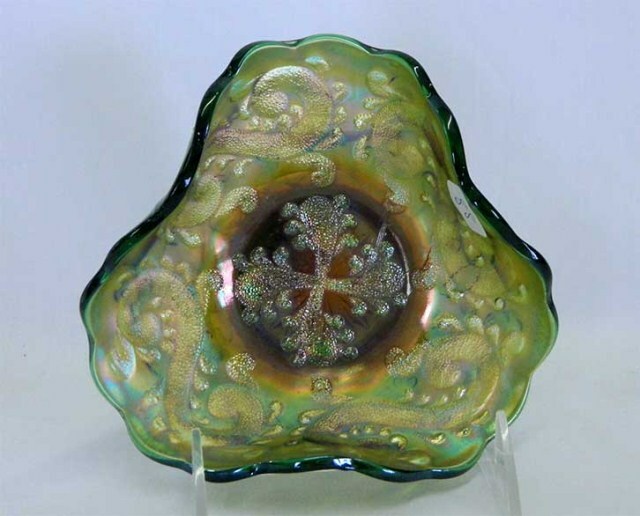 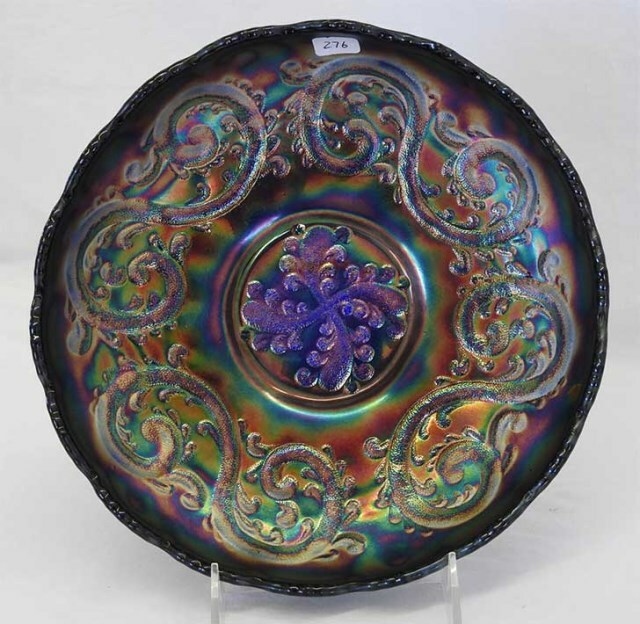 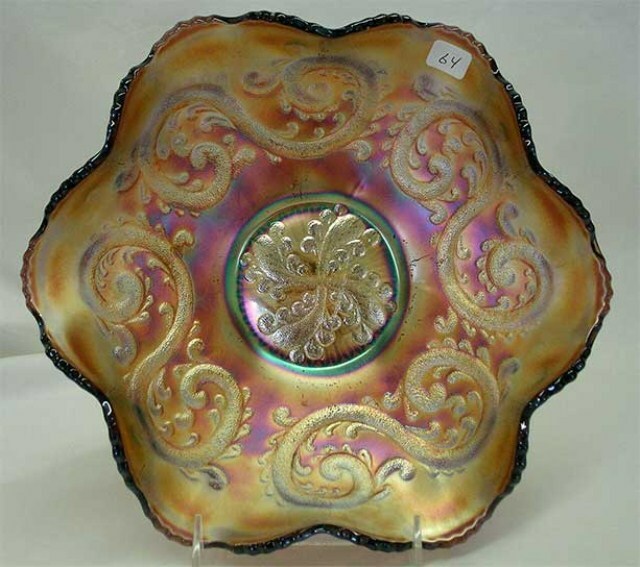 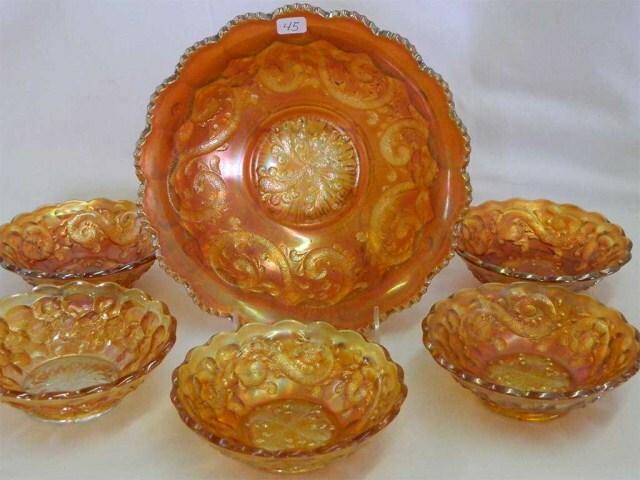 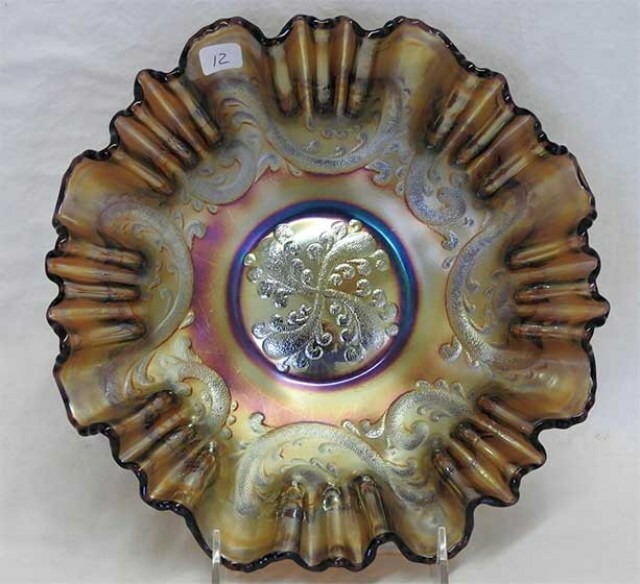 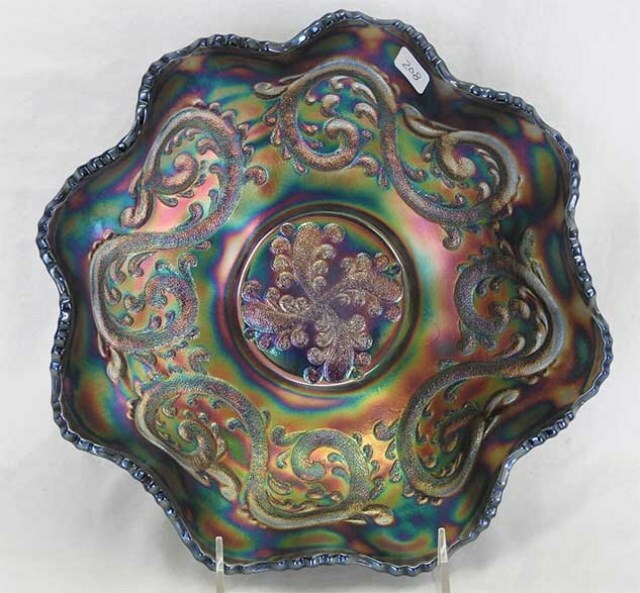 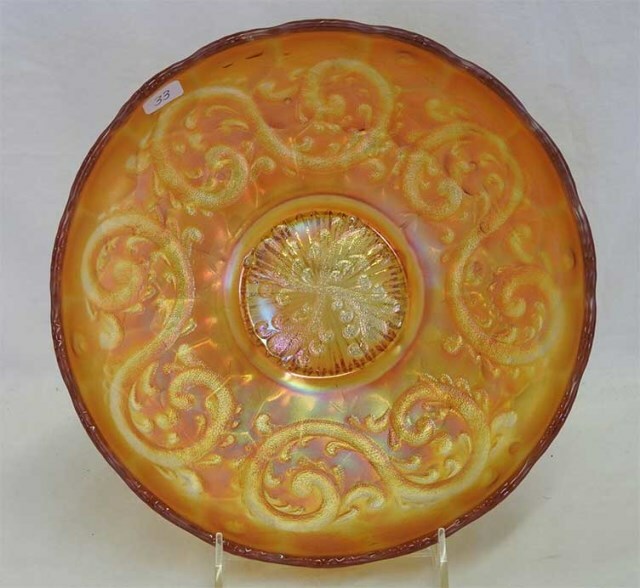 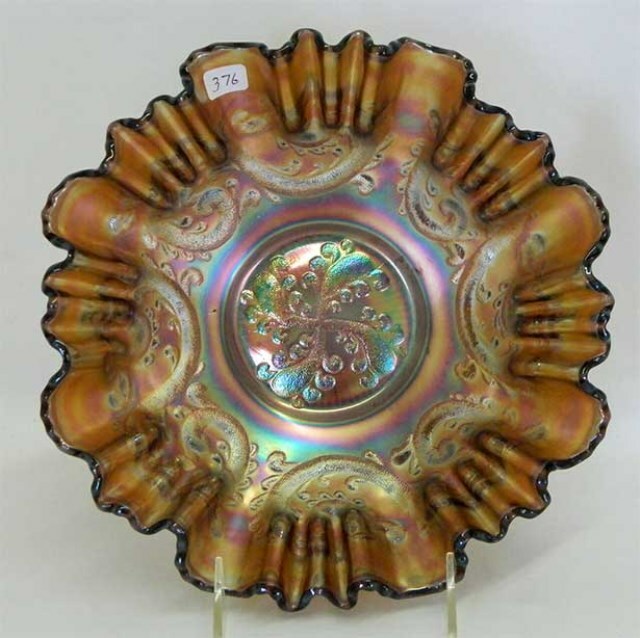 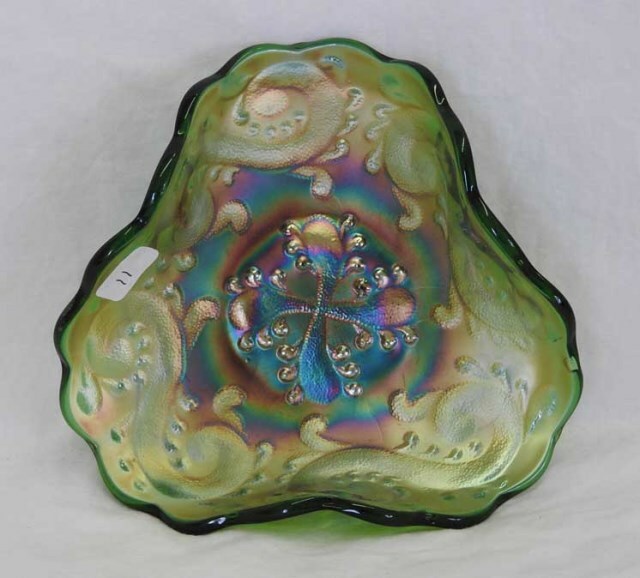 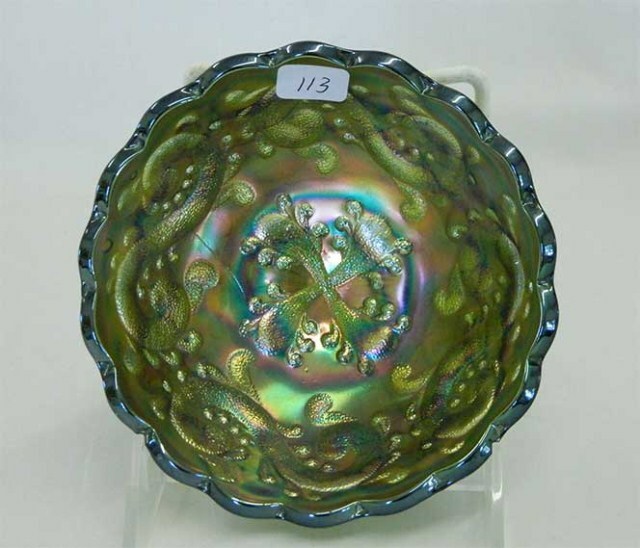 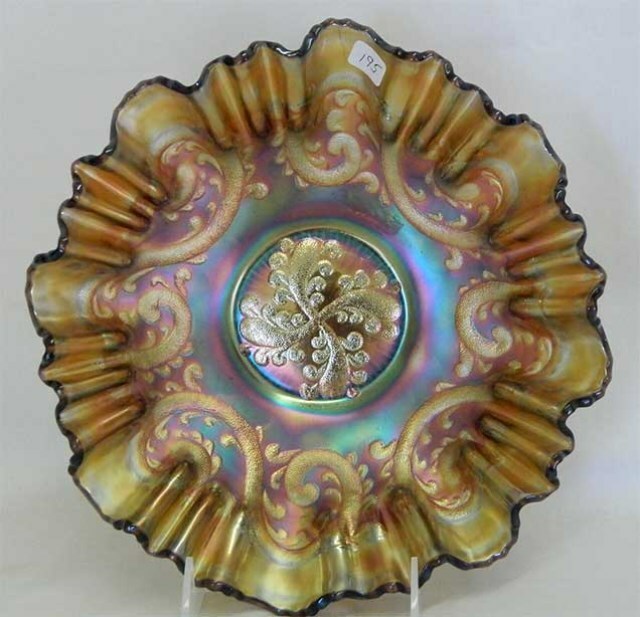 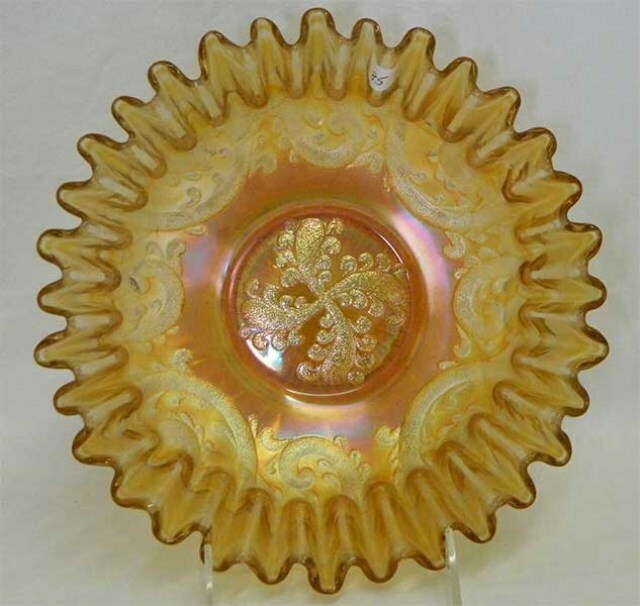 It was made from the small berry bowl and measures 3 3/4 inches wide and 2 1/4 inches high.